Omiyo has artisans in three different villages of northern Nicaragua, an area of great physical beauty, but significant economic hardship. 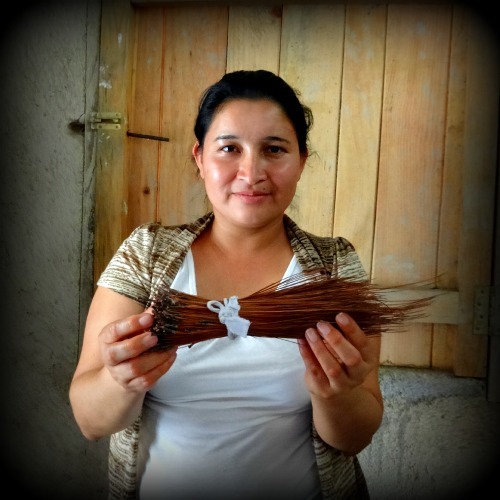 These women are creative and enterprising, finding a way to create beautiful and marketable items from what surrounds them. Azucena lives in the small village of La Garnacha, a three-mile walk over rough roads to get to the main road where the bus passes by. She grew up in the village, daughter of a subsistence farmer, whose children all love to create art. 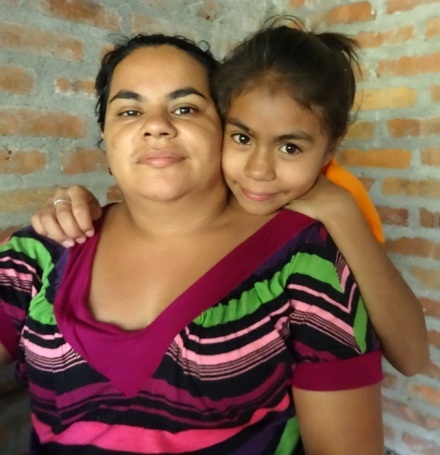 She lived and worked as a maid in Costa Rica for a few years, but has now returned home to raise her young daughter, because in her opinion, it is the best place on earth! She keeps a small general store on the only street of the village. She works on her art and craft pieces throughout the day, interrupted by children sent by their mothers to buy supplies. Passionate about education, she notices which kids are unable to go to school because their parents can't afford transportation or uniforms. Through Omiyo, she has set up a fund to help these families. 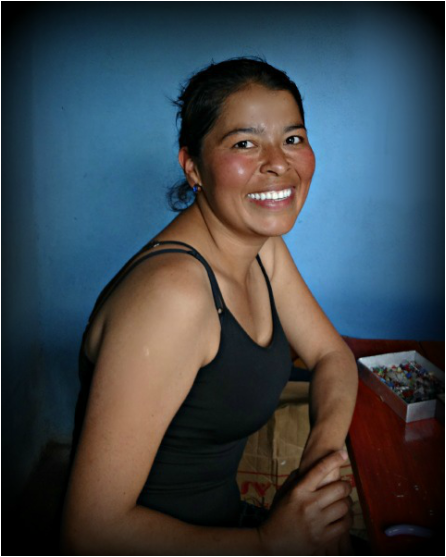 Azucena is a true artist, who works with paint and leather, as well as with the wire and stone she uses to make beautiful earrings for Omiyo. 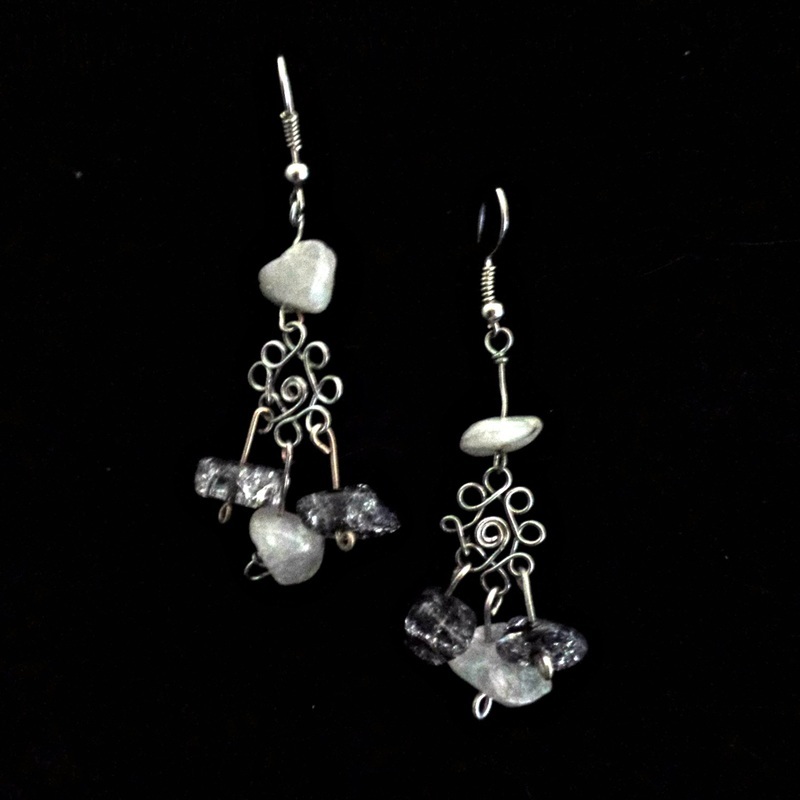 Each pair is completely original, and we are sure you will treasure your Azucena earrings! Meiling and her ten-year-old daughter are a creative pair. When we met, they had shown up for a cooking class to learn how to make cinnamon rolls from my daughter, a volunteer in their small town of San Nicolas. Meiling is also an expert hair braider, and while the bread was rising, she started braiding my daughter's hair. As it happened, I had brought a lot of old Tshirts with me to Nicaragua, to see if I could find a woman to help turn them into braided headbands. I knew I had found her! For the next six weeks, Meiling and her daughter and I worked on the design and finishing of our product. She was excited to earn enough income to buy her own sewing machine after about three weeks, We hope to grow the market for these headbands so that she can employ other women in San Nicolas. And her daughter, pictured here, has been a great help in designing! 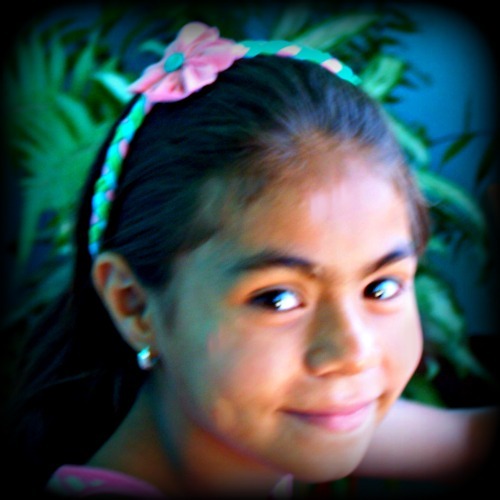 Mozontepec is the name of a group of ten women who live in the small town of Mozonte, near the Honduran border. Their indigenous roots are strong, and they are experts in the traditional art of making coiled baskets from the long pine needles that fall to the ground all around them. headbands from pine needles. Although their work is readily available in Nicaragua, we have never seen it in the US, and to their knowledge, no one else is selling it outside of Nicaragua. Omiyo is your one and only source for this beautiful and unusual craft!